We have had some visitors in the unit. 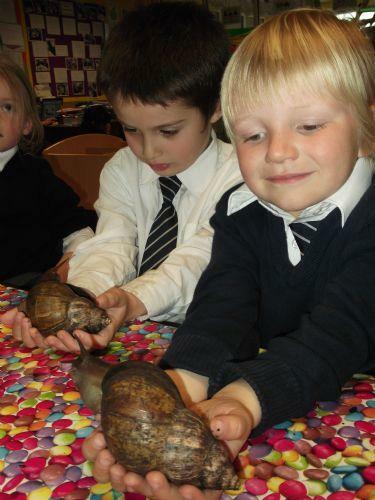 Here are some clues, they come from Africa! 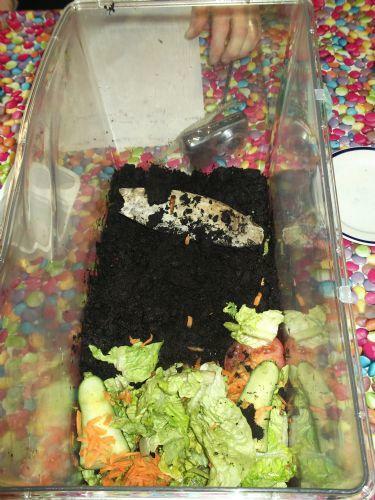 they eat lettuce and cucumber, they have one big foot and they live in a tank! This is their home, have you guessed? Bet you didn't guess these! 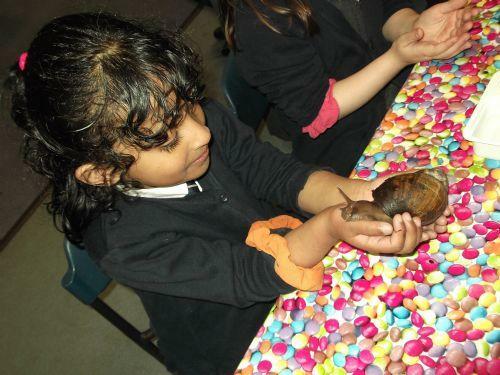 They are Giant African Snails, here are some of our thoughts about them. 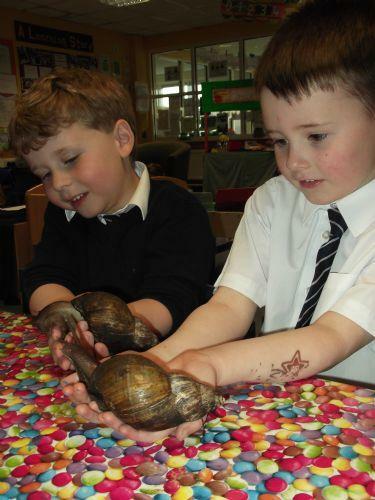 "They are slimy and they have a curly shell"
"They have to have shells because if they're scared they can hide"
"I'm going to tell my mummy about these, it feels really cold, we could call it Mr Monty!" "I wish I could take him home, it feels like he's sucking my hand with his body"
"He's got really long eyes with tidgey little bits on the end"
"This is awesome! he is a bit cute, it's awesome!" 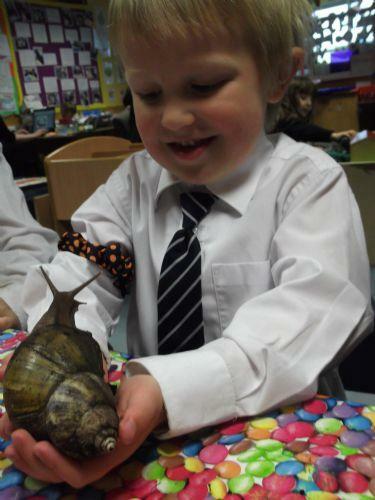 "I'm a bit scared, I've never held a snails before, only a hamster, I like it, like it, like it!" 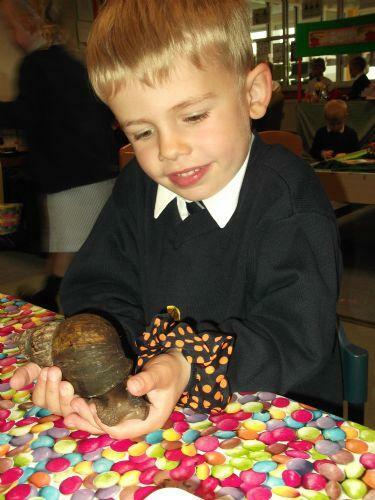 "It's really slimy, it's because it's like slime, I've held a snail before but not this big. 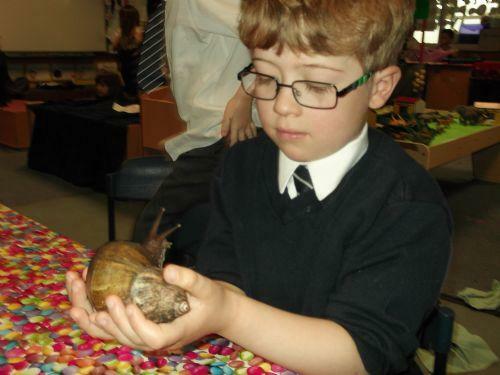 His shell is a cone shape"
"He's all slippery and slidey! 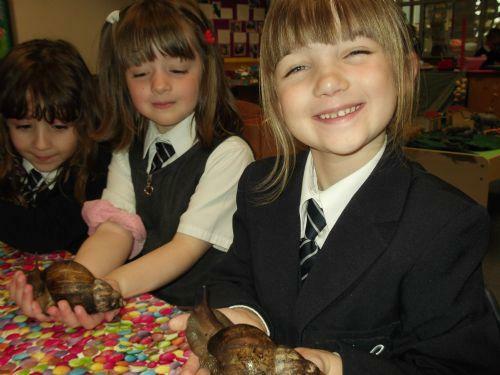 his shell is hard as rock!" 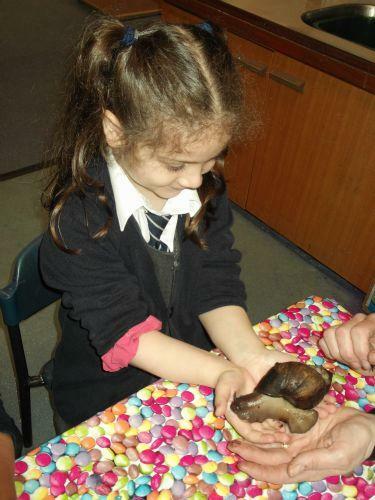 We learnt new things today, we had to put water onto our hands before we held the snails and we had to wash our hands with soap when we had finished. 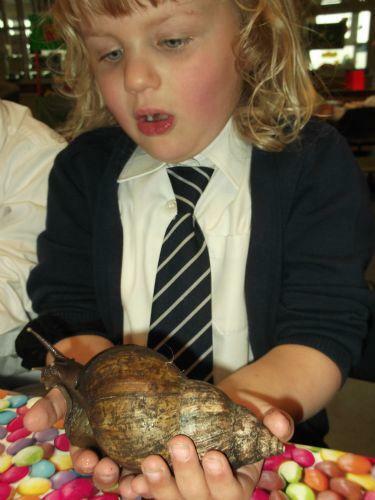 Most of us enjoyed the snails, some of us were unsure at first and some of us really didn't like the look of them.